National Capital Children’s Oncology Care Inc. Manoir Ronald McDonald House Ottawa was founded in 1983 and granted a charitable license in 1983. The House opened its doors to sick children and their families in June of 1984 and is part of a network of 14 Ronald McDonald Houses across Canada. Our House is owned and governed by National Capital Children’s Oncology Care Inc., a charitable organization. 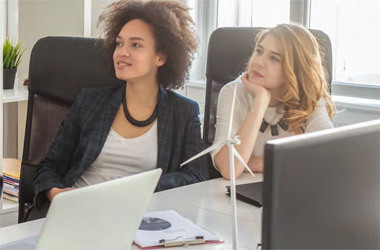 Its Board of Directors consists of 15 volunteer members from business, medical and the surrounding community. The House is managed by dedicated professional staff that, while small in number, is large in heart. We are blessed by the support of a full complement of hardworking, dedicated volunteers. The Ottawa House is located next to the Children’s Hospital of Eastern Ontario, an internationally recognized hospital. 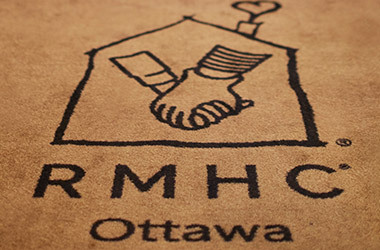 We are dedicated to providing a warm, safe, affordable and compassionate environment in our Manoir Ronald McDonald House Ottawa, and our Family Rooms, for families of seriously ill children receiving medical services. 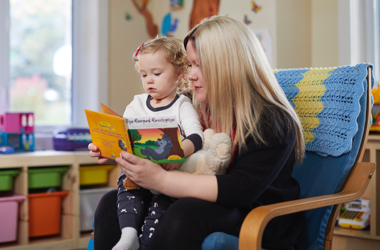 To ensure that the ever changing needs of children and families residing at Manoir Ronald McDonald House and our Family Rooms will be met with people and programs in an environment of safety, compassion, commitment and integrity. Our House is more than just a place to sleep. It’s a haven of calm and support for families during difficult times. 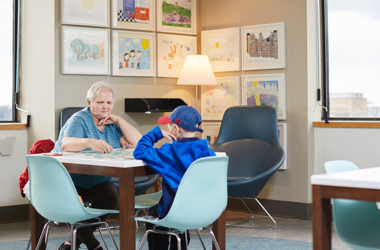 Family Rooms replicate a little slice of home and act as an extension of the services that we provide at our House to families who have a child receiving treatment at the Children’s Hospital of Eastern Ontario.